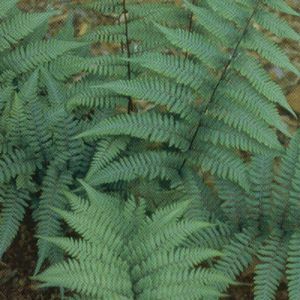 A cross between the American Lady Fern and the Japanese Painted Fern. A strong tall-growing fern with ghostly gray-green foliage. Forms lovely clumps. A beautiful contrast with dark-foliage plants.